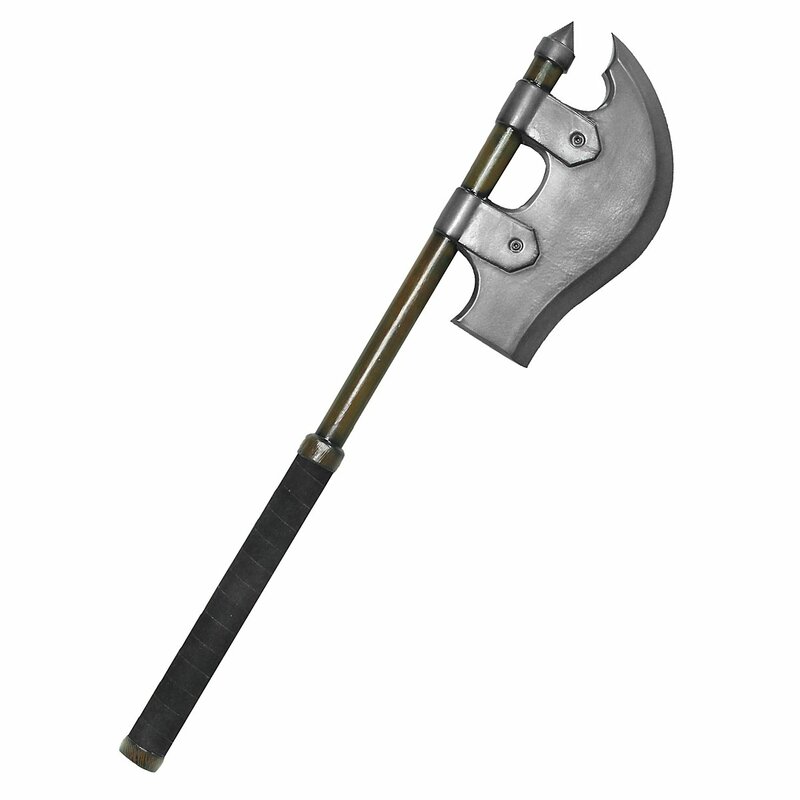 The artfully curved, long blade is the most distinctive feature of our original Age of Conan Vanaheim battle axe foam weapon. The fiberglass rod at the core of this battle axe is covered in soft latex foam to make this LARP weapon perfectly safe for live action role playing. The high quality inner materials are protected from the elements by latex and a sealing coat for a long service life. Much of the handle is wrapped with suede for increased comfort and control. 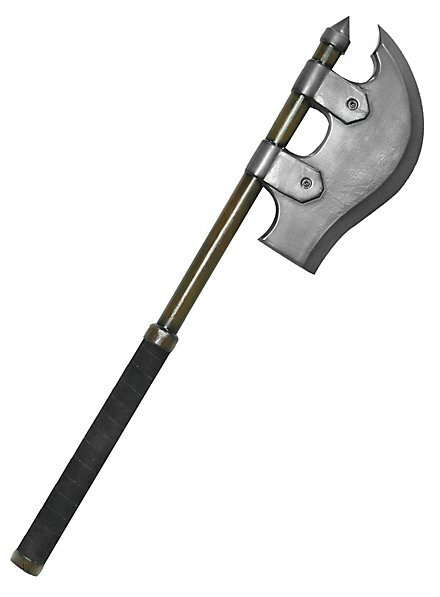 This original Age of Conan Vanaheim battle axe foam weapon is well balanced and can be wielded with one or two hands, as required.